When something that you love makes you weak in the knees! Before your mind runs wild, let me make it clear that this isn’t completely dirty and painful. Or is it? Each person is on their own, picking up what they like and love persuading towards that particular activity. While you’re at it, doing what you love there are often times when a small misjudgment or a miscalculation might end up giving months of terrible and excruciating pain. One such incident might be A LIGAMENT TEAR. These ligaments hold the knee joint in place and help in locking and unlocking the joint. When you walk, run, dance, gym or jump these ligaments work continuously. When the knee joint is locked, the greater force applied on it ends up tearing the ligament depending upon the direction of this unaided force. Injury to PCL – Ligament tears are also common in a road traffic accident. Usually in a car accident, the posterior cruciate ligament is torn. The harm occurs when the tibia is forced backwards to the femur. This is rather rare in a sport person whose anterior cruciate ligament is at risk. 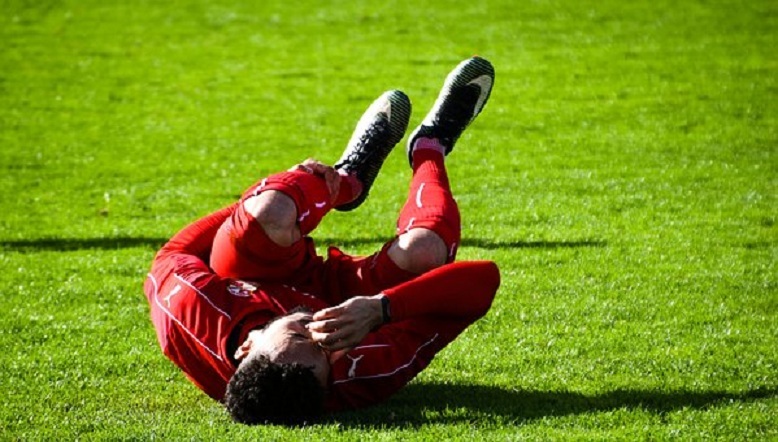 Injury to MCL – Any force the pushes the tibia towards the femur in an inside fashion causes the rupture of this ligament. Injury to LCL – MCL and LCL are attached to the either side of the joint, medial is on the inner side and lateral on the opposite. So the damage to the lateral ligament occurs when the force is applied to adduct the tibia to the femur. So now, describing the proper anatomy. The knee joint is a hinge joint. A hinge joint is one which is made up of more than 2 bones, and moves along one axis only. Elbow joint is another such synovial joint. Knee joint consists of the tibia and the femur, a tibio-femoral joint. Then there is patella which glides over the front of the tibial end of femur, forming patello-femoral joint. The knee Ligaments act like the joint’s best friend, providing support and stability. When this harmony is disturbed, a painful unstable state happens to be. Chipping of the bone to which the ligament it is attached. Severity may vary on the tear being complete or incomplete. One ligament involvement or more. The combination depends upon the force acting on the joint. More severe the injury more intricate the treatment regimen gets. Diagnosis can be made through clinical examination and a detail on the event of the grievance. Complications that present with the tear are dislocation of the joint, blood clots, swelling. The pain maybe localized over the torn ligament. Radiological examination of the knee joint is important to check if the bone has been chipped off, which might have been avulsed from the ligament attachment. Contrary to the Stress X-rays, MRI is a non-invasive method to diagnose ligament injuries. Arthroscopic examination may be needed in few cases. Treatment of this condition was conventionally done by non-operative methods. Now that there are better techniques and with the recent advances better results are achieved through operative reconstruction. Operative reconstruction has become popular in high demand athletic individuals like Tom Brady, Alex Morgan Adrian Peterson and a lot more NBA players. Celebrity or not we are all made up of the same cells and same anatomy and ligament injury can be treated and normal functioning of the knee can be obtained and hence decreasing your time not spent on doing what you love. Conservative method – The blood clot/ hematoma is aspirated and the knee is immobilized in a cylinder cast or a knee immobilizer. If the injury is grade I or grade II, conservative method is successful for treatment. Followed by this, strengthening physiotherapy is required. Operative methods – These are to be done when there is a combination of ligament injuries, involving multiple ligaments especially in young athletes or dancers. Usually the surgery is done 2-3 weeks after the injury when the inflammation is fairly reduced. What do the surgeons do actually? They first go by repairing the ligament. It is performed on grade III ligament tears, which means the ligament is completely torn. If the surgery is done after the 2-3 weeks, an additional reinforcement is provided by a tendon or fascial graft as the original torn ligament would have lost the strength due to complete tear. Secondly, they reconstruct the instable knee injuries which present later than usual. An allograft or an autograft of a tendon or a fascia lata is used; a synthetic graft can also be used. Auto is better than allo as there are lesser chances of rejection. Knee ligament tears are very common and are often undiagnosed. Ligament tears are usually not seen on X-rays and might get neglected. The usual presenting symptom is the instability of the knee joint. Treatment is biased depending upon the activity level of the patient. If you’re a ninja then you’ll probably need surgery. If you’re person who probably has a sedentary lifestyle, the doctor might perhaps recommend physiotherapy. Usually the ACL tends to get damaged more often than the others. ACL reconstruction is done with the help of an autograft and bio-absorbable screws. Arthroscopic ACL reconstruction is the surgery of choice as it is minimally invasive, and results are outstanding as the patients revert back to normal with negligible risks.